She doesn’t want a boyfriend, she’s ready for a man. Someone who understands that she has more than just physical needs that must be met. 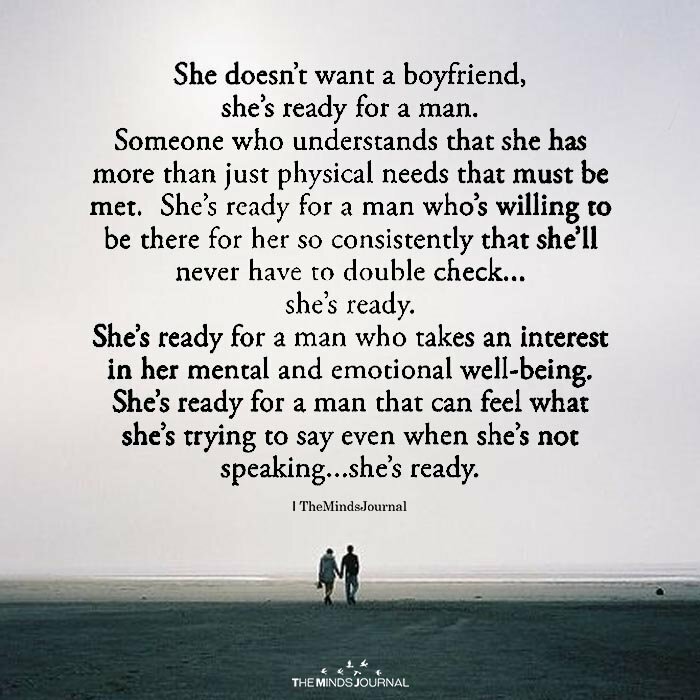 She’s ready for a man who’s willing to be there for her so consistently that she’ll never have to double check…she’s ready. She’s ready for a man who takes an interest in her mental and emotional well-being. She’s ready for a man that can feel what she’s trying to say even when she’s not speaking…she’s ready. This was written by a woman.